is a board certified physician in Maternal-Fetal Medicine, a fellow of the American College of Obstetrics and Gynecology and a co-founder of Boston MFM. 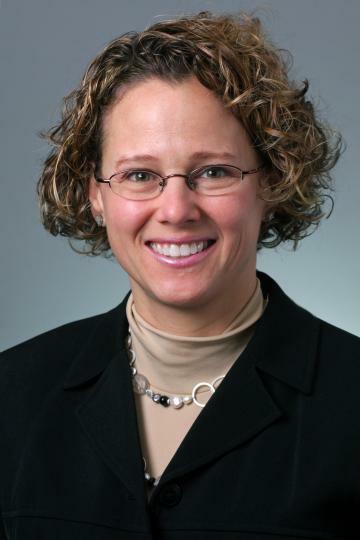 She has been practicing high-risk obstetrics at Beth Israel Deaconess Medical Center (BIDMC) since 2004 and holds the level of Clinical Instructor at Harvard Medical School. She is the co-director of the Joslin Diabetes and Pregnancy Program. Dr. Takoudes completed her residency at BIDMC, Harvard Medical School and her maternal-fetal medicine fellowship training at Women and Infants Hospital, Brown University. She completed her undergraduate degree at Columbia College, Columbia University and her medical degree with high honors from Columbia University’s College of Physicians and Surgeons. Dr. Takoudes participates actively in research to support her interest in diabetes and pregnancy, preeclampsia and nutrition in pregnancy. She also treats many patients with preterm labor, multiple pregnancy, thrombophilia, and fetal anomalies. Her expertise also includes prenatal diagnosis and fetal testing. She spends her free time with her two children and husband, and completed her first full ironman in 2013. Rhodes ET, Pawlak DB, Takoudes, TC, Ebbeling CB, Feldman, HA, Lovesky MM, Cooke EA, Leidig MM, Ludwig DS. Effects of a low-glycemic load diet in overweight and obese pregnant women: a pilot randomized controlled trial. The Am J of Clin Nutr,Dec 2010; 92 (6) 1306-15. Takoudes TC. Obstetrical Care of the Woman with Diabetes, Chapter 16 in Diabetes in Women, Florence Brown, Jennifer Wycoff by Springer, published 2010. Steigman S, Kunisaki S, Wilkins-Haaug L, Takoudes T, Fauza D. Optical Properties of Human Amniotic fluid: Implications for Videofetoscopic Surgery. Fetal Diagn Ther. 2010; 27(2):87-90. Chapin D, Takoudes TC. Cesarean delivery, Chapter 163 in Master of Surgery, 2nd Ed, Joseph Fischer, 2007. Takoudes TC, Weitzen S, Slocum J, Malee M. Risk of Cesarean Section Wound Complications in Diabetic Gestations. Am J of Ob Gynecol 2004;191(3):958-63. Sarna MC, Hess P, Chaudhury AK, Takoudes TC. Postpartum Hemorrhage, Chapter 9, in Anesthetic and Obstetric Management of High-Risk Pregnancies, 3rd Ed, Sanjay Datta, MD, ed, 2004.